Literally flat out here in the office; been a month of immense change and growth in the both the Life Science industry here in Ireland and indeed the science world in general. I managed to peel myself away from my newly-shouldered duties in my new office space to round up a nice mix of science, tech, industry and of course cute animal news. Please hit the titles if you want to read more from the source material or find links to any published sources. 570kg ‘Space Rock’ May be The Largest Meteor Fragment Ever Discovered. 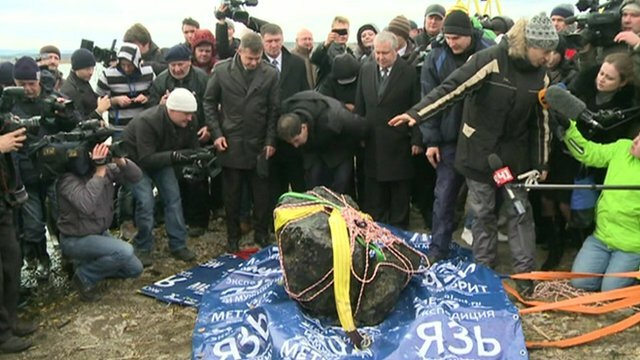 The Chelabinsk meteor event from February of this year was one the most televised events of its kind ever. Partially thanks to Russia’s ubiquitous ‘dash cam’ culture, hundreds of videos of the rock which blazed across the crisp winter sky and of the aftermath of the subsequent explosion – which injured hundred of people and broke thousands of window panes – are available to view online. One mystery which remained was the 6 meter hole in the local Chebarkul lake, which locals and scientists alike agreed signified that a large chuck of the space rock could be found below the surface. Yesterday, a rock was indeed pulled out of the lake and its largely agreed to be part of the meteor. its pretty heavy, maxing the weighing scales out at 570kg before breaking it. the rock itself then proceeded to break into 3 pieces thanks to some ham-fisted removal techniques! The rock certainly fits the description of a meteorite with its black glassy exterior hinting at the colossal heat of re-entry. If this is the case then it could well be the largest fragment ever found. Secrets of ‘Magnetic’ Bacteria Explained. As amazing as it sounds, some bacteria are magnetic. They synthesize a magnetic compound called magnetite which they use to align themselves with Earths magnetic field, in order to find the position in the water column that is most favorable to their survival. Just how bacteria create this magnetic compound is still not fully understood but a recent study has made significant headway in explaining the process. The implications that this nanomagnets could have on human technology are impressive. Two such suggestions include use as a contrast agent in magnetic resonance imaging and decontaminating water supplies. The magnetic bacteria could be used to break down a contaminant, then removed using a magnet. Aw. 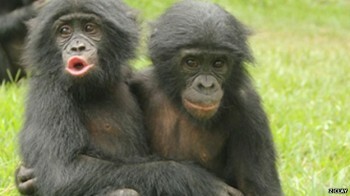 Bonobos have been seen to embrace each other as a means of comforting those who are feeling distressed or down. Already known as the ’empathic ape,’ researchers saw that apes who have already had to respond to emotional stress and have come through that experience multiple times developed ’emotional competence.’ The study focused on a group that included both orphan bonobos and youngsters who were raised by their mothers. What interested scientists is how quickly the mother-reared young were to comfort their orphan kin – this emulating of maternal empathic behavior is identical to what we see in human children. A loss of the sense of smell is one of the first signs of cognitive decline. 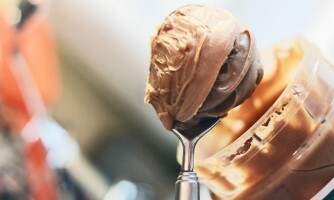 The scent of peanut butter is being pioneered as a means of measuring this decline as peanut butter is an example of a pure odorant – its smell is detected only by the olfactory nerve in the brain, the most basic part used to smell. Using a ruler and a tablespoon of PB, scientists are marking patients ability to smell. Patients in the early stages of Alzheimer’s disease had a dramatic difference in detecting odor between the left and right nostril—the left nostril was impaired and did not detect the smell until it was an average of 10 centimeters closer to the nose than the right nostril had made the detection in patients with Alzheimer’s disease. First Ever Evidence of a Comet Striking Earth. Evidence of a comet that crashed to earth, obliterating everything in its path has been discovered. Comets consist mainly of dust and ice, so they wouldn’t leave much of a trace if they did crash to earth. 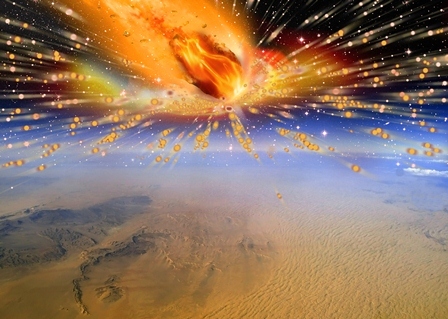 The comet in question here entered the earths atmosphere about 28 million years ago in the north Sahara desert and exploded, heating up the sand beneath it to a temperature of about 2 000 degrees Celsius, resulting in the formation of a huge amount of yellow silica glass which scattered over a 6 000 square kilometer area. A piece of the silica glass was in fact included as a gem stone which formed the scarab on Tutankhamens Brooch (right). The ‘gem stone’ of this new discovery is a mysterious black pebble which scientists believe is the nucleus of a comet. Sydney Entrepreneurs Want to Deliver Your Parcels by Drone. Drones have gotten a lot of bad press lately what with the whole bombing people in the Middle East and that. The fact is, though, that drone technology is extremely sophisticated and does have potential to benefit society. The video below is a pitch by a pair of Sydney guys who want to change the face of delivery as we know it with their product, Flirtey. 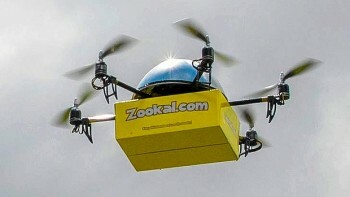 I’m not sure about how reliable this technology is in terms of battery life and even the safety of the good/receivers/innocent bystanders, but the automation of delivery services is definitely a sure thing in the not-to-distant future. Flirtey may not spearhead a delivery service revolution but it is a really forward-thinking and innovative idea. I cant award them any kudos for either the brand name or the font they used, though. 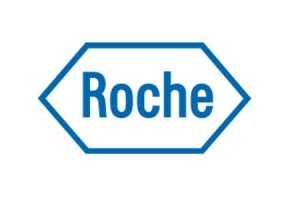 Swiss biotech giant Roche has pledged an investment of 800 million Swiss Francs (880 million Euro) globally. Manufacturing capacity will increase in their facilities at Germany Switzerland and the USA. This expansion contrasts strongly with the cost cutting which has hit big pharma recently. Generic manufacturers have been swooping in to capitalize on expired patents, slowing the growth of previous competitors. 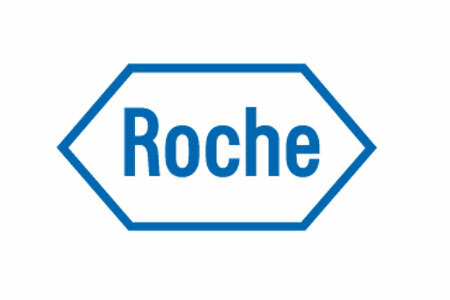 Roche, have managed to stay ahead of the curve with with a wealth of cutting edge biotech, including many drugs which could revolutionise the fight against cancer. 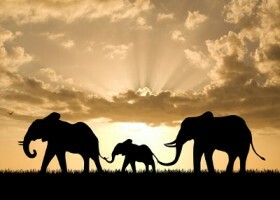 There is no end to how awesome Elephants are. Researchers often conduct a test with animals called the object-choice task. This is where a food reward is hidden under a container andthe experimenter signals which one by pointing to it. Understanding this gesture is remarkably rare in nature, even among smarter animals. Domesticated animals fare better than wild ones, but even chimps and other primates are quite bad. Elephants, on the other hand, seem to understand pointing pretty well. Where other animals who partake in the object-choice test become conditioned to human pointing over time – the reward is food after all – elephants perform as well during the first tests as they do later suggesting that they literally ‘get the point.’ Majestic.